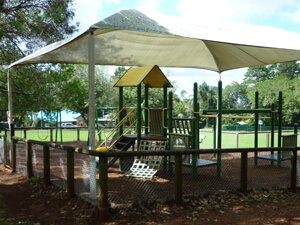 Offering all necessary picnic facilities, the “Lions Park” has plenty of room for the kids to roam around. 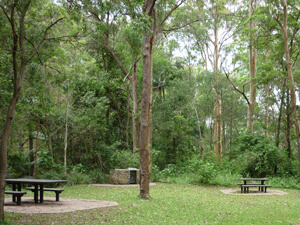 Large trees provide shade on hot days and cooking can be done on a number of wood fired BBQ’s. 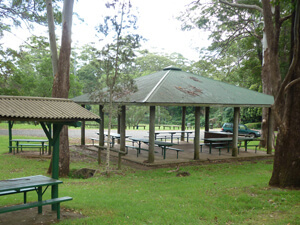 In early 2012, the Tamborine Mountain “Lions Club” installed two large picnic shelters, providing protection from the elements. 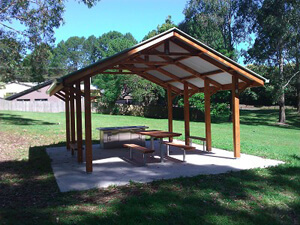 These feature large picnic benches and tables and a solidly built roof structure on a concrete floor. 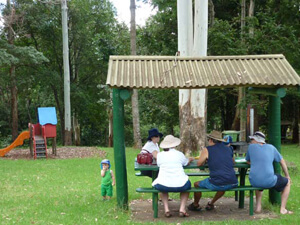 This addition makes “Lions Park” an even more popular picnic area. 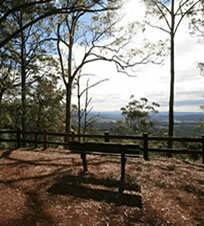 It is easily accessible, but still a little away from the “beaten track”. 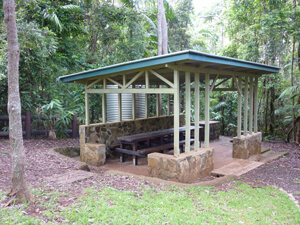 The new picnic shelters are located close to “Curtis Road”, with plenty of close by parking. 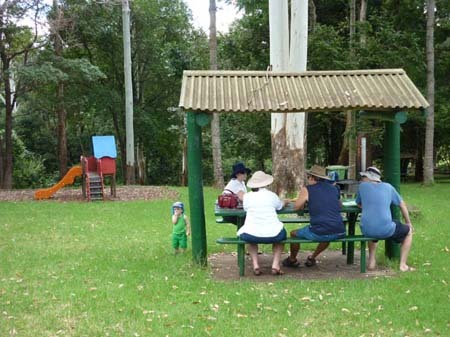 In December 2018 a large adventure playground was added, making “Lions Park” the ideal family picnic location. 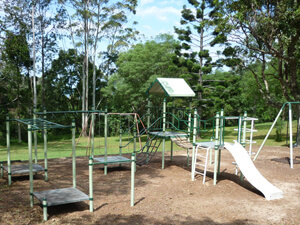 The adventure playground will keep the kids entertained for hours, offering endless climbing and playing activities. 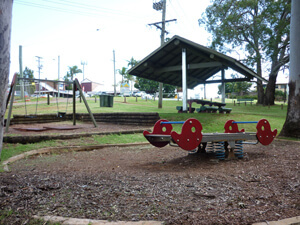 Raised seating for the “big kids” allows for easy supervision. 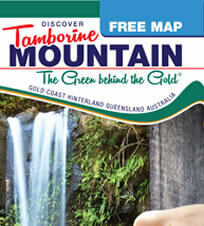 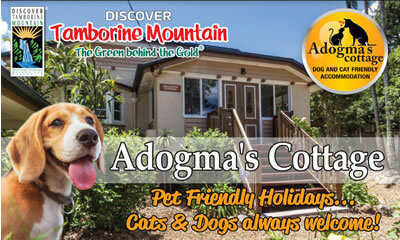 For more information about the Tamborine Mountain Lions Club click here. 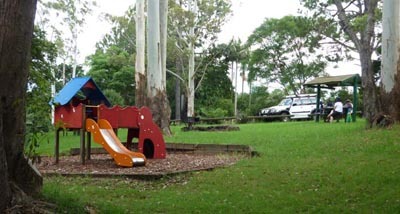 Adventure Playground created by Playscape Creations. 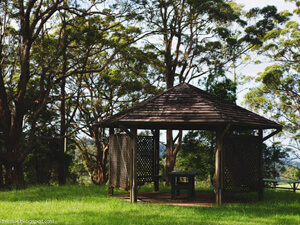 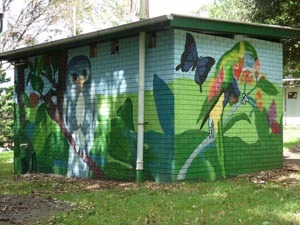 This entry was posted in Tamborine National Park and tagged BBQ, Lions Park, Picnic Area, Tamborine Mountain on January 1, 2013 by Detlef.